Advanced Skills and Training (AST) Day takes place Wednesday, October 24. This “conference-before-the-conference,” will provide specialized education and networking opportunities. AST Day offers a selection of three-hour courses, specifically chosen to provide intensive, interactive instruction from highly-acclaimed speakers. Course details and speaker bios will be provided when available. ATA-certified translators may earn 3 CEPs for each course attended. Certified interpreters may earn continuing education credit. Separate registration is required. Register Today! Attend this workshop to learn strategies for transforming tricky German texts into clear and understandable English translations. We’ll look at the role of editing at various stages in the translation process and practice strategies and approaches for polishing translations into autonomous English texts. Using real-world examples, we’ll tear translations down to the studs, so to speak, and rebuild them while addressing different editing scenarios, including self-editing, post-editing, editing for style and accuracy, feedback, “rescue missions,” and more. Geoffrey Cox has taught language, literature, film, and cultural studies at the University of Washington, Westfälische Wilhelms-Universität (Münster), Seattle Pacific University, and for the Seattle Opera. He has also taught translation at the Translation and Interpretation Institute at Bellevue College. He has a PhD in Germanics from the University of Washington. Are you an experienced interpreter looking to increase your skill level? Then attend this workshop to learn about some of the tools that will help you evaluate your interpreting output more critically and manage your time more effectively. You’ll work on numerous exercises and learn techniques to approach different problem areas in all three interpreting modes, such as names and numbers, fast-paced speakers, and long, complicated utterances. Whether you hope to pass an interpreting exam or simply improve your on-the-job renditions, you’ll leave this workshop feeling more confident, prepared, and ready to achieve your professional goals. Athena Matilsky has been helping students improve their interpreting skills since 2014. She is a federally certified court interpreter and a certified health care interpreter. 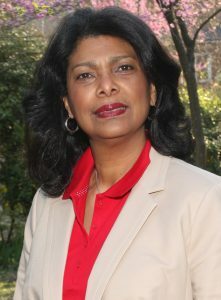 She has a BA in Spanish interpreting and translation from Rutgers University. She has been working in the field for almost a decade. She served as a staff interpreter for the Superior Court of Trenton, New Jersey, from 2013-2016. She was the recent editor of Proteus, the publication of the National Association of Judiciary Interpreters and Translators, and she is a contributor to that association’s blog. For centuries translators were considered isolated creatures, working behind stacks of dictionaries, pens, and papers, and producing translations as best as their health, life span, and limited knowledge permitted. However, the internet, having proven that it’s the ultimate place for knowledge and resources, is now considered a translator’s “go-to” source. Come learn the secrets of the internet and its technologies related to translation. Topics will include the art of web scraping for translators and automating administrative tasks to save time for actual translation work. Sameh Ragab is a lead auditor for International Standards Organization 17100 and a certified translation services provider. He is also a computer-assisted translation (CAT) tools and terminology management expert, a registered translation vendor with the United Nations and World Bank, and a certified localizer. He has over 25 years of experience in the translation industry. His focus is on Arabic and Middle Eastern language services. He has also trained translators and localizers to use CAT and terminology management tools. An international speaker and trainer focusing on the technical side of translation, he has given workshops and conference presentations around the world. The legal market is becoming more global by the day. According to the International Labor Organization, there are 50,000 multinational corporations with over 450,000 affiliates throughout the world. Businesses are working with multiple versions of various legal documents that need to be translated effectively across legal systems. As bridges between those systems, translators require profound subject matter expertise and resources for catering to this tough market. Attend this workshop to get hands-on experience with real-life challenging legal texts and develop skills to achieve the pristine renditions that the market demands. Interpreters in all settings frequently have to switch modes during assignments. A medical appointment may go between consecutive and sight translation and then into simultaneous for side conversations. A simultaneous teaching session can go into consecutive for questions and answers. Legal interpreters regularly switch from whispered simultaneous into consecutive with note-taking. These switching moments require an under-appreciated and mostly untaught skill set. Mode switching can be awkward and exhausting and requires conscious strategies to be successful. This workshop will walk attendees through different scenarios and provide concrete guidelines for how and when to switch modes. Katharine Allen is a health care and community interpreter with over three decades of experience interpreting, training, and designing curricula. She is co-president of InterpretAmerica. She is the lead developer and licensed trainer for The Indigenous Interpreter 60-hour training course. She has helped train interpreters for medical missions in Mexico. She teaches for the Glendon College Masters in Conference Interpreting Program and the Professional Interpreter Online Program. She is co-author of The Community Interpreter International: An International Textbook and The Medical Interpreter: A Foundation Textbook for Medical Interpreting. She has an MA in translation and interpreting from the Middlebury Institute of International Studies at Monterey. The saying “there is more to it than meets the eye” holds true for words. Translators should be open to more than the meaning they already know. This English>Spanish translation workshop will focus on certain polysemic terms in business and finance, including equity, fees, management, and business. Attendees will work on the translation of these terms as they appear in excerpts from financial, accounting, taxation, and economic texts. Silvana Debonis has been teaching online courses in English>Spanish commercial and financial translation at New York University since 2000. She has taught translation at the Universidad Católica Argentina and the Association of Sworn Translators of the City of Buenos Aires. She has also provided specialized English training for accountants at the Colegio de Ciencias Económicas de CABA, for accountants and lawyers at the Asociación Argentina de Estudios Fiscales, and for the tax and accounting departments of large companies. In addition, she has taught financial translation in Peru and Mexico. She is the author of a Spanish to/from English financial, accounting, and tax glossary and the co-author of a Spanish>English commercial law dictionary. ATA-certified translators stand out in their profession. With a 20% pass rate, ATA’s certification exam can be challenging even for those with experience. This workshop will prepare attendees for that challenge! 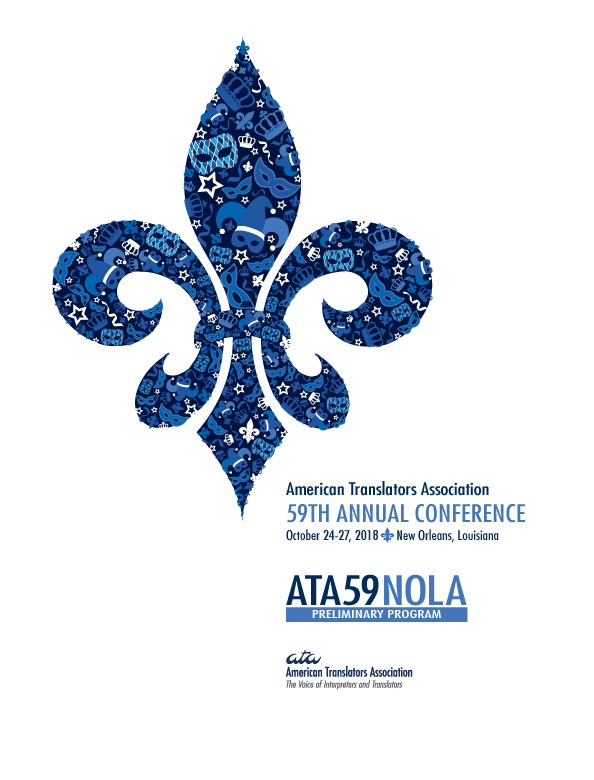 Once registered, attendees will receive an ATA practice test (a $80/$120 value) to translate and return by September 25. If your translation is received by the deadline, the speakers will grade and return it to you at the end of the workshop. (Translations received after the deadline will be returned after the conference.) During the workshop, the speakers will analyze the errors made by attendees on the practice test, but all examples used will remain anonymous. Course fee: $300; Register Today! Mercedes De la Rosa-Sherman has been a professional translator for 30 years. She has a bachelor’s degree in translation from Universidad APEC (Dominican Republic) and a master’s degree in medical translation from Universitat Jaume I, Spain. An ATA-certified English>Spanish translator, she has been a grader for ATA’s English>Spanish certification exam for over seven years. She is also a state and federally certified court interpreter. She has published three articles in Intercambios, the newsletter of ATA’s Spanish Language Division, and was a presenter at several ATA Annual Conferences. Claudia Franco, a sworn legal translator, has a degree in legal translation from the University of the Republic (Uruguay). She is a former English teacher at the Anglo-Uruguayan Cultural Institute in Montevideo. A professional translator for over 15 years, she has worked as a freelancer for translation companies from the U.S., U.K., New Zealand, and Canada. She also works as an external Spanish translator and editor for the United Nations Economic Commission for Latin America and the Caribbean. An ATA-certified English>Spanish translator, she serves as a grader for ATA’s English>Spanish certification exam. Diego Mansilla is a grader for ATA’s English>Spanish certification exam and a member of ATA’s Ethics Committee. A professional translator for over 15 years, he teaches advanced translation at the University of Massachusetts Boston. He is a member of the board of directors of the New England Translators Association. He has published articles in The ATA Chronicle. He has presented at several ATA Annual Conferences. The interrelations and reverberations among words and grammatical structures subtly yet powerfully tell more about the content and purpose of a text than what’s found on its surface. Becoming aware of this level of linguistic meaning, we can better comprehend source texts and enhance our translations. After registering, attendees will receive a sample text to edit and return by September 1. Attendees will work on this same text during the workshop to uncover the meaning between the lines. Then they will translate it as a group for a different audience. Before the workshop, attendees are encouraged to send specific questions or brief samples from their daily work (300 words maximum, in English). A selection of these samples will be featured during the workshop to highlight principles and practical steps attendees can apply in their translations, whether in English or another language. Sabine H. Seiler grew up in Germany and the U.S. and has been translating and editing in German and English for more than 20 years. She has a PhD in English from the University at Albany, State University of New York, where she has also taught English literature and writing courses. Her expertise is in marketing, legal, and business texts, ranging from general to technical material. Briefs, motions, and other submissions to the court comprise a substantial part of a legal translator’s workload, and they are often written in a language all their own. Led by a lawyer and a translation instructor, we’ll start by explaining the specific nomenclature and legal purpose of different types of pleadings, followed by guidelines for finding a register (degree of formality) and tone (from nice to nasty to “manufactured outrage”) that reflect the original without veering into stilted prose, obsequiousness, or hysteria. We’ll conclude with hands-on work with sample texts. Eve Hecht, an ATA-certified French>English and German>English translator, is a freelancer working from German, Hebrew, and French into English. She taught German>English legal and commercial translation courses at New York University’s School of Professional Studies Foreign Languages, Translation, and Interpreting Program from 1999-2016, and continues to mentor former students. She is certified by the Israel Translators Association in Hebrew>English translation, and has often presented at its annual conference on such topics as clinical trial documentation, patent litigation, and translating correspondence. Emanuel Weisgras is a lawyer and former prosecutor who is licensed in New York and Israel. He prefers to be called a “recovering attorney,” and has managed to avoid the active practice of law for the past four years, during which time he has jumped headfirst into the world of translation. He is the founder and chief executive officer of Weis Words International Translations, a boutique translation company specializing in legal, business, and financial translation. He divides his time between New York and Israel, and is a member of ATA and the Israel Translators Association. AST-10: Are You Ready to Translate/Interpret State-of-the-Art Medicine? Advances in medicine are made possible through the work of researchers from all over the world trying to improve our lives and provide us with the best medical care. This is a fast-paced field for translators and interpreters. Information about CRISPR, CAR-T cell therapy, TCR therapy, monoclonal antibodies, and immune checkpoint inhibitors keeps evolving, so language professionals need to be constantly on their toes to keep up with the latest terminology. Attend this workshop to learn some of the latest information that will help you translate or interpret developments in immune system and immunotherapy, antibiotic resistance, and emerging viruses (e.g., HIV and ebola). Prior to the workshop, you’ll be asked to complete a short, anonymous questionnaire and return it by October 12. You may also want to read or be familiar with Siddharta Mukherjee’s books, The Gene: An Intimate Story and The Emperor of All Maladies. Everyone will walk away with a handout containing all the references used during the workshop. Pablo Mugüerza has more than 30 years of experience as a Spanish medical translator and proofreader. He received his medical degree in 1987. He is the author of a manual about the translation of clinical protocols. He has been lecturing and training medical translation students for almost 10 years, both in English and Spanish. Currently, he specializes in complex, avant garde medical devices and therapies (e.g., immunotherapy, personalized, and precision medicine). The question isn’t whether artificial intelligence and neural networks will have a bearing on the day-to-day work of translators and interpreters, but how you, as a language professional, are going to react to these profound changes. Come learn what these technologies are, how they are already changing, and will likely continue to change the industry. You’ll leave with strategies for developing the skills that will allow you to remain relevant and even thrive in a rapidly changing world. Jay Marciano has been the director of machine translation at Lionbridge Technologies since 2010. He has spent 20 years developing and applying machine translation. He serves on the board of directors of the Association for Machine Translation in the Americas. Prior to joining Lionbridge, he worked for SDL (2001-2010), where he was responsible for the development and refinement of natural language processing software. He has also worked as a product manager at Transparent Language, as a lecturer in the English Department at the University of Bonn, Germany, and as an editor at Houghton Mifflin on the staff of the American Heritage Dictionary. There are times when preparing for an interpreting assignment might seem like a paradox. Sometimes you receive all the necessary material, but it arrives so close to the actual assignment (sometimes the day of!) that it doesn’t do much good. In other cases, you might not receive enough details about an assignment to feel adequately prepared. Adding to the challenge is the fact that more and more clients are moving toward paperless environments. This is why it might be a good time to revaluate and adapt your preparation methods. How will attending this workshop help? You’ll be introduced to the “SPEAKING” preparation method and learn about corpus tools for term extraction and Boolean operators for quicker search purposes. We’ll explore IT tools to annotate documents, extract terminology, and organize glossaries. We’ll also review apps and gadgets that can make your life as an interpreter easier and more organized. Come prepared to leave better prepared! Maha El-Metwally is a conference interpreter who works for a wide range of international organizations, including the European Institutions and the United Nations. In addition to ATA, she is a member of the International Association of Conference Interpreters and the Chartered Institute of Linguists. She serves on the board of the Institute of Translation and Interpreting, where she is also a member of the Admissions Committee. She teaches conference interpreting at the University of Surrey. She has an MA in interpreter training from the University of Geneva. She speaks on professionalization at universities in the U.K. and abroad. She successfully offered training courses on technology for interpreters in different parts of the world. Darinka Mangino is a conference and court interpreter. She has a master’s degree in advanced studies for interpreting trainers from the Université de Genève, Switzerland, a postgraduate certificate in forensic linguistics from Aston University (U.K.), and a degree in conference interpreting from the Instituto Superior de Intérpretes y Traductores, Mexico City. A member of the International Association of Conference Interpreters, she has been a public relations spokesperson for the Mexico, Central American, and the Caribbean regions since 2015. She is an adjunct professor in the Master in Interpreting and Translation Program at the Universidad Anáhuac. She is the founder of Léxica Aula Virtual para Intérpretes. Digital technologies and mobile devices offer interpreters a wealth of options for improving skills, preparation, and performance, ranging from digital pens for hybrid simultaneous-consecutive interpreting to apps for smartphones and tablets. The speaker will briefly introduce a few of these technological innovations and discuss their practical implications for interpreters and their varied working environments, such as conference, court, medical, and community settings. Attendees will be given the opportunity to practice in small groups using some of the devices and programs discussed. Please bring your tablet or laptop to class. Some digital pens will be made available for practice. Esther M. Navarro-Hall is a freelance interpreter, trainer, and consultant. She is an adjunct professor at the Middlebury Institute of International Studies at Monterey, where she has taught conference, court, and community interpreting. She has an MA in conference interpreting. She is a pioneer in interpreting technology, online training, and training for speakers of indigenous languages, She is the creator of the Sim-Consec™ method. She is a federally certified court interpreter and a state-certified court and medical interpreter (California). She has interpreted for the U.S. Department of State. She is an ATA-certified English>Spanish translator. “System-inherent” translation problems, which occur where the language systems of the source and target languages are not congruent, frequently challenge the translator. Attend this workshop to learn how to handle such problems efficiently. After registering, you’ll receive worksheets containing a selection of English sentences to be translated into German. Studying these and other examples, we’ll compile a range of translation patterns and describe and organize them systematically to produce an inventory of translation variants for further use. The method will be demonstrated for two translation problems: What-clauses (e.g., “He smiled in what he hoped was a reassuring way.”), and word order in English and German texts. Karin Königs is a freelance instructor in English>German translation. She has given workshops for numerous organizations, including the German Federal Association of Interpreters and Translators, German Academic Exchange Service, and University of Salford, U.K. She was a senior lecturer for English>German translation for over 20 years at the Language Department of the Cologne University of Applied Sciences. Previously, she worked with several German federal authorities, including the Federal Ministry for Scientific Research. She has a graduate degree in translation from Heidelberg University, Germany. She is the author of the textbook Übersetzen Englisch-Deutsch: Lernen mit System. Jane Maier is an ATA-certified Spanish to/from English and French>English translator. She has been a freelance translator for over 35 years. A past ATA director, she has been a grader for ATA’s Spanish>English certification exam for over 20 years. She has an MA in translation and interpreting from the Middlebury Institute of International Studies at Monterey. Holly Mikkelson is a professor of professional practice in the Graduate School of Translation, Interpretation and Language Education at the Middlebury Institute of International Studies at Monterey. She is a certified court interpreter and ATA-certified Spanish to/from English translator who has taught and practiced translation and interpreting for over four decades. She is the author of the Acebo interpreter training manuals as well as numerous books and articles on translation and interpreting. She has consulted with many state and private entities on interpreter testing and training, and has presented lectures and workshops to interpreters and related professionals throughout the world. German>English translators and interpreters may find themselves facing tax-related topics in a wide range of texts and situations. Starting with a look at available reference resources, this workshop will focus on the bilingual concepts and terminology of the main types of German business taxation, from direct taxes such as Körperschaftsteuer (corporate income tax) and Gewerbesteuer (trade tax) to indirect taxes (specifically Umsatzsteuer/VAT), as well as Organschaften (tax groups). It will also examine how the Organisation for Economic Co-Operation and Development’s Base Erosion and Profit Shifting project is being implemented into German law, including related bilingual terminology. Selected German texts will also be analyzed and discussed to illustrate the use of tax terminology in context. Robin Bonthrone has been a full-time German>English financial and legal translator for almost 30 years, specializing in financial accounting and reporting, audit, assurance, and advisory, tax law, financial legislation, and financial sector regulation and supervision. He translates the German Accounting Standards for the Accounting Standards Committee of Germany, and was joint coordinator of the German version of the International Financial Reporting Standards for several years. He is an experienced financial translation trainer and lecturer at translation conferences and workshops in Europe and the U.S. He is currently co-chair of the FIT ISO Standards Committee. See the Preliminary Program as a Flipbook or PDF!